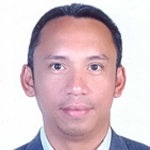 Dr. Patrick D. Cerna is an Associate Professor in Department of Information Communication Technology, Federal TVET Institute University. He is a member for some of the prestigious IS/IT international organization e.g. IEEE Computer Society, Association of Computing Machinery (ACM), Association of Information Systems (IS) and International Association of Computer Science and Information Technology (IACSIT) . He has published total of 14 research papers in reputable journal publication including in the International Journal of Information Technology and Computer Science, International Journal of Modern Education and Computer Science under the MECS Publisher in Hongkong, and Science Domain International Publishing in Germany, Science Publishing Group, USA and Science and Education Publishing, USA. He has also presented 2 conference paper in prestigious International conference and symposium. He has also served as Editorial board and Scientific Reviewer of the several journal publications that includes IJDT, WASET, IJETSR, IJRDO, among others.